Here’s an episode of Andrew Marshall’s 2 point 4 Children, a solo sitcom for him, after quite some time writing in a team with David Renwick. 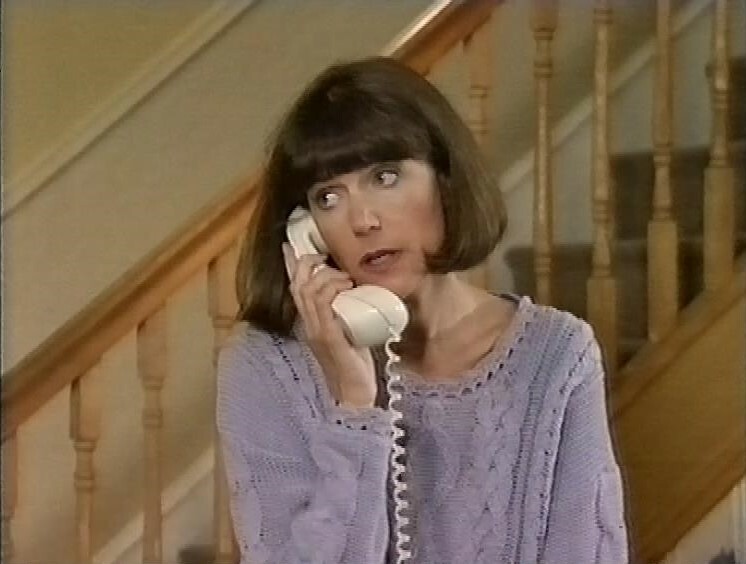 In The Parent Trap, Belinda Lang’s Bill finds out her daughter doesn’t want her boyfriends mother to visit their house, so she makes an extra special effort to be normal. I can definitely empathise with this problem. The Family Plot recording misses out the very start. Probably my fat fingers, or rushing around trying to find the right tape to put it on. The family are arguing about what to watch. Ben wants to watch Top Gear – not even the good Top Gear, this was when it was mostly Tiff Needell talking about stock car racing. Fortuosity sees Bill receiving a chain letter. Remember chain letters? Are they still a thing? Or have they been completely supplanted by passive aggressive Facebook posts? 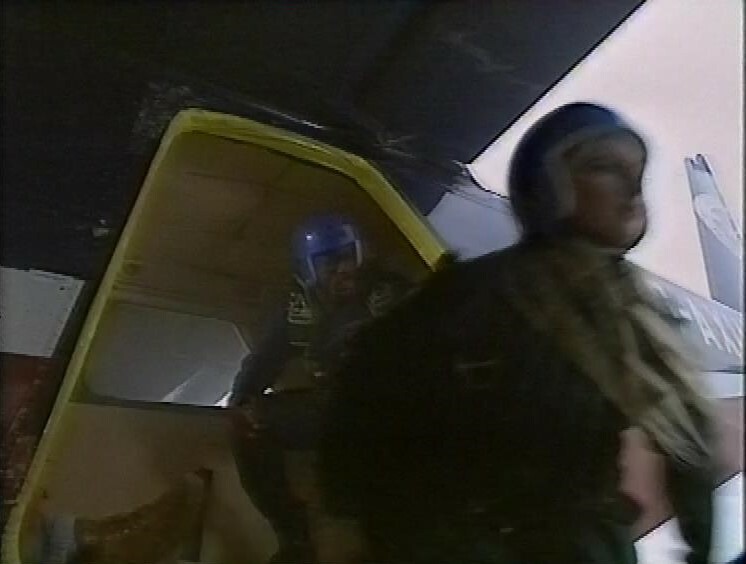 There’s a really brief appearance by Idris Elba as a parachute instructor – you can barely make him out, though. Not really a star-making part. 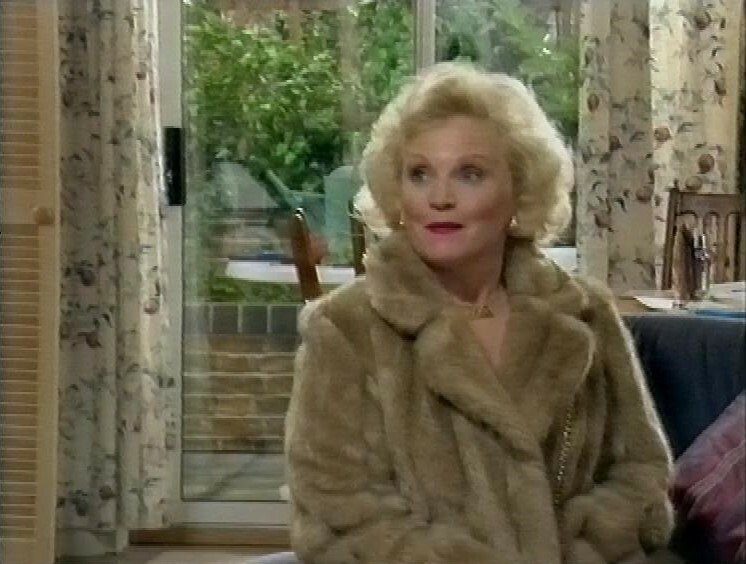 Also guesting in this episode, Sandra Dickinson. Next episode is Curiosity Killed the Cat. Bill is bedridden with flu, and the family are being very cagey about things happening around the house. The last episode on this tape is Frenzy. Bill is busy working in her brand new kitchen, while Ben struggles with recording a movie on his video recorder. And Rona has an unwelcome visitor. Plus Jenny is performing at the school concert. The teacher in charge appears to have come as Gary Glitter. Wouldn’t happen today. And the family do a Blues Brothers number. 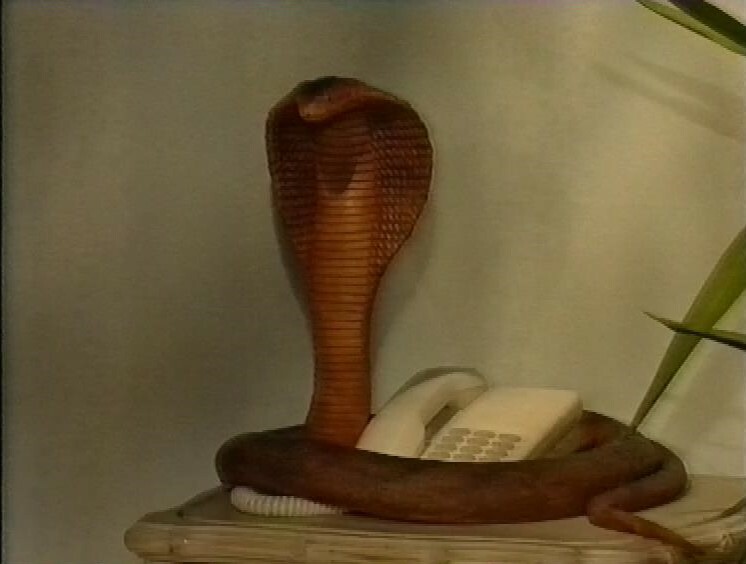 And the programme ends on a cliffhanger, which is really unfortunate as I don’t have the next episode on this tape. Instead, next on the tape is Michael Moore’s Christmas TV Nation. And at Christmastime, Michael went around some of the huge companies trying to give $1000 to those who had been found guilty of various corporate malfeasances. 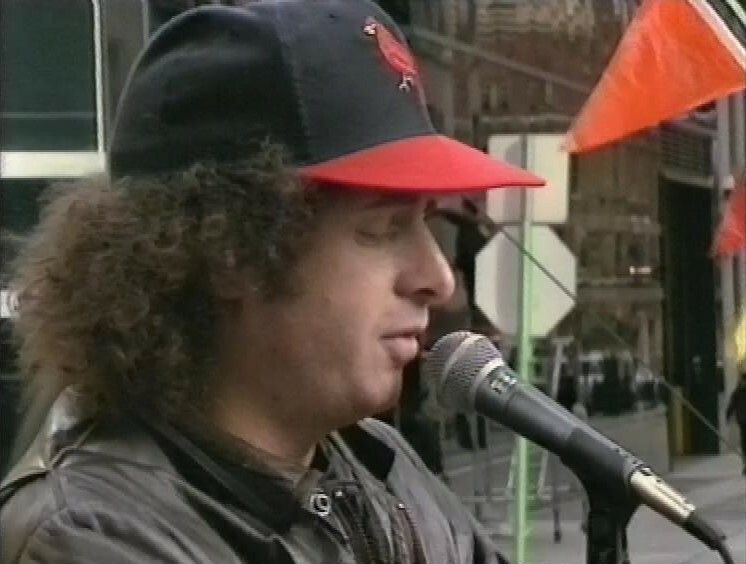 Comedian Steven Wright appears at their ‘Corp-Aid’ concert on Wall Street. 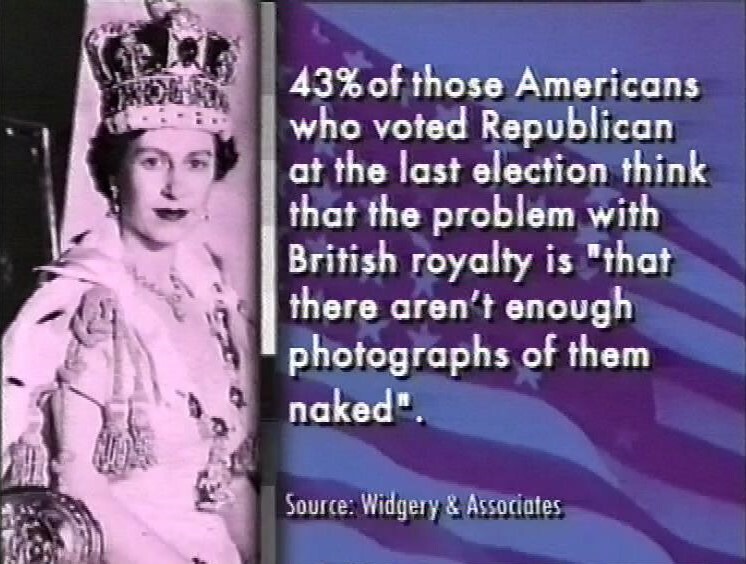 I love the stupid poll results they do. I presume these were all questions they got a polling company to ask, and it demonstrates how easy it is to get nonsense out of a poll. 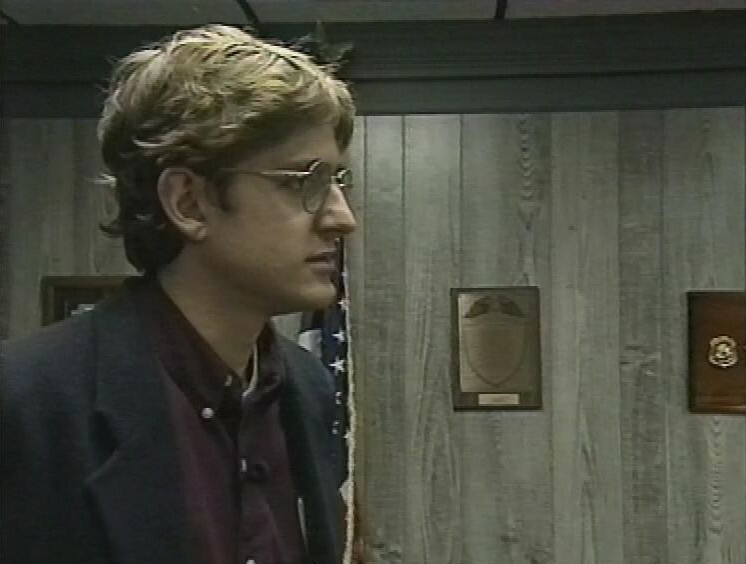 One of the reporters on the show was our very own Louis Theroux, before he forged his own career as a documentarian. 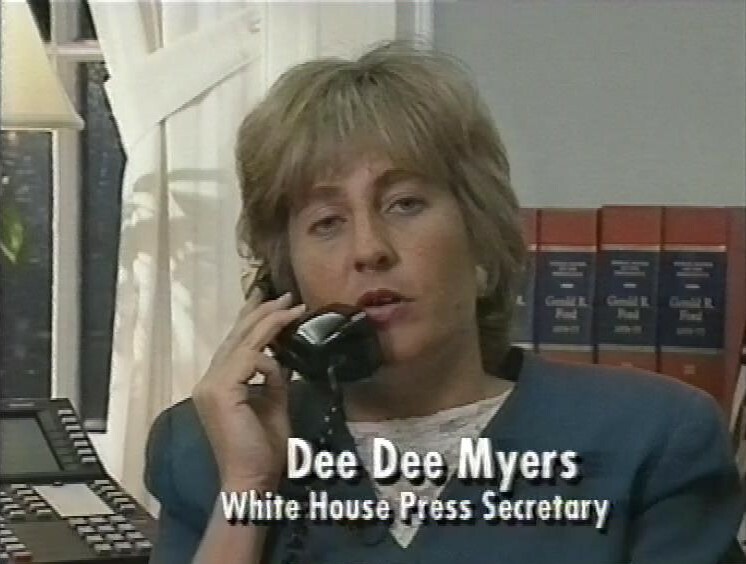 In a segment about US military efforts, Mike speaks to White House press secretary Dee Dee Myers, a consultant on The West Wing. 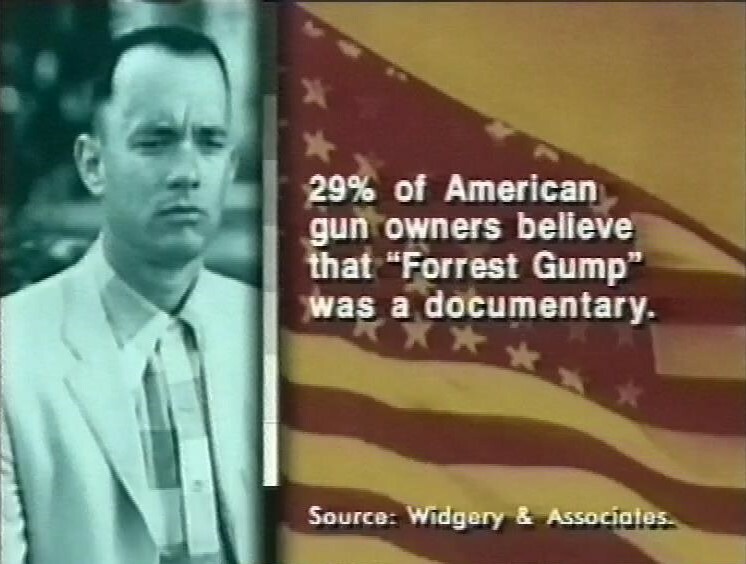 29% of American gun owners believe that Forrest Gump was a documentary. 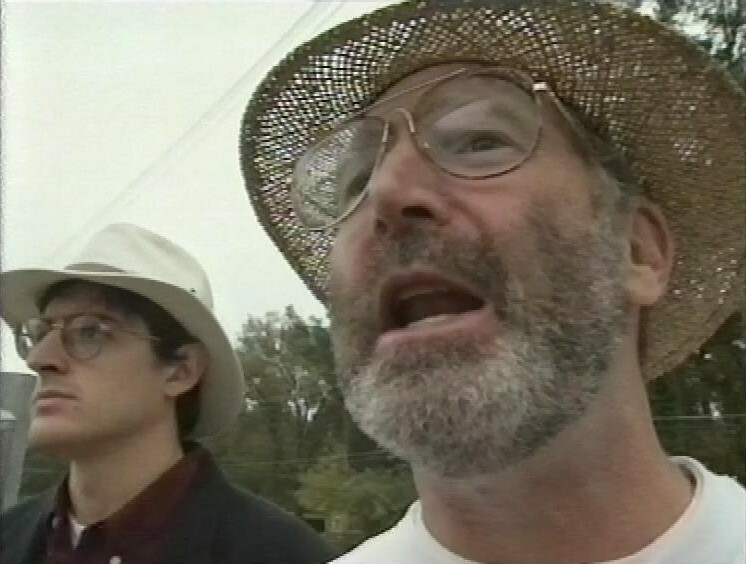 In another segment, Louis Theroux meets a man who shouts abuse at women going into abortion clinics, and who condones the murder of doctors performing abortions. After this, there’s a trailer for Situation Vacant. And a trail for Dead Again. 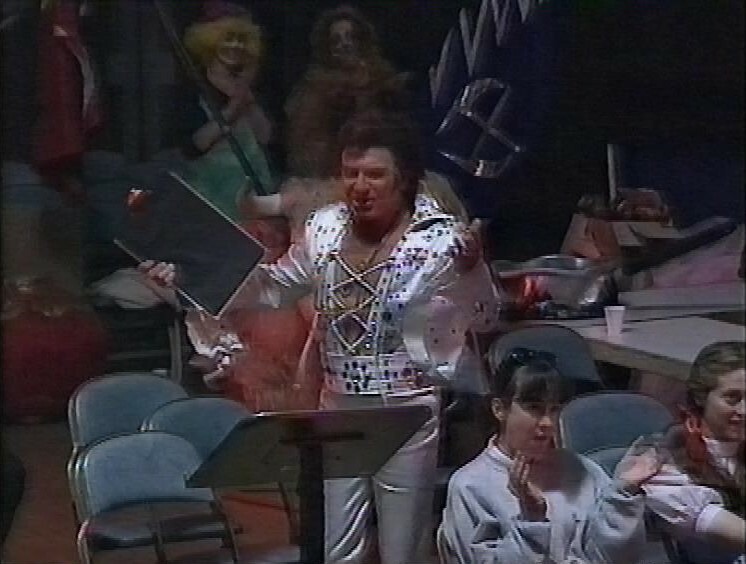 Then there’s an extra, short programme, a magic trick, performed by Fay Presto, for Neil Pearson. And after a trailer for Christmas Day programmes on BBC2, there’s an episode of Steptoe and Son. 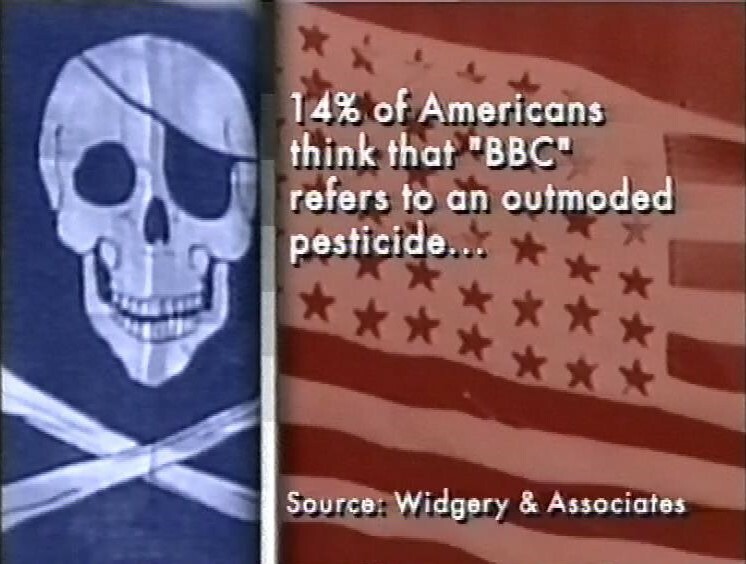 After this, there’s a trailer for The Butcher’s Wife and another trail for Boxing Day programmes. There’s then part of another magic trick, featuring Tony Blackburn, but it’s incomplete as the tape ends before the trick really ends. How come I grew up with Sandra Dickinson telling us you could put the dinner on, she’d be home in 20 minutes etc with a Betty Boop voice, but as Grandma Tracy in the new Thunderbirds series she sounds like Lee Marvin?